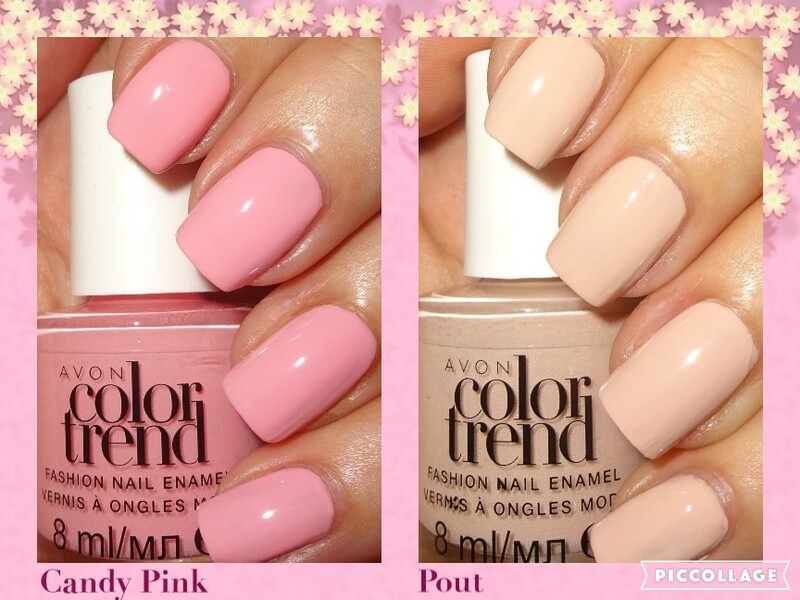 Today I'm reviewing Avon Color Trend Fashion Nail Enamels in Candy Pink & Pout. From Brochure 12 in the UK, Avon boasts new and improved shades, packaging & formula for their basic yet fashionable Color Trend range. There will be 12 hot shades with a new cool sky blue named Bliss. Candy Pink is a sweet sugar mice pink, with Pout being a creamy latte shade. I applied 3 coats for full coverage, my thumb nail is particularly ridged and needed 3 coats (note to self, buy Avon Ridge filler!). The formulation and brush are good, however, I would say the Mark Gel Shine range is more pigmented, hence needing 3 coats on both shades. 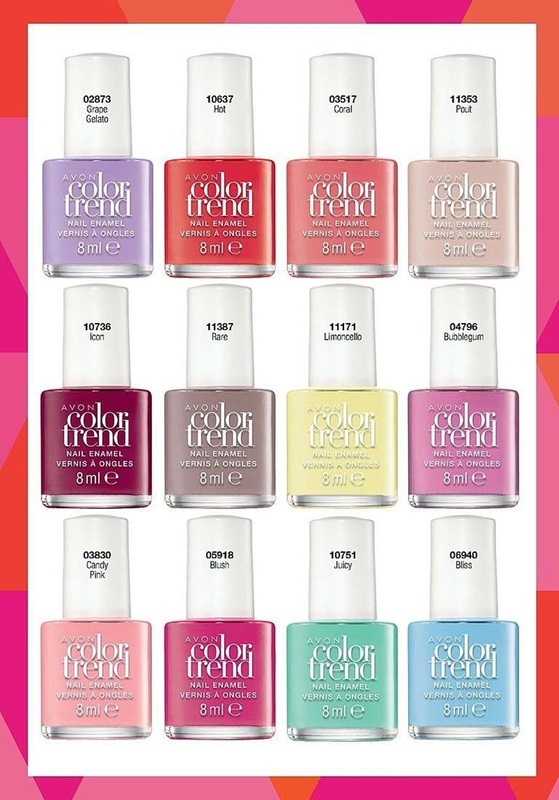 The Color Trend Fashion nail enamels have a glossy finish, all photos are without top coat, and are chip resistant. They come in bright pink & orange packaging and are 8ml. Oh, and did I mention, they are £1.50 through C11 - C13 - grab yourself a bargain, it'll be hard not to!